Here comes the massive Transfer Deadline Day excitement! 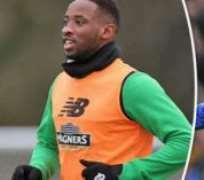 Following yesterday's stray rumors of Chelsea possibly testing Celtic's resolve over budding superstar Moussa Dembélé, today's early reports claim that even though Celtic are not exactly keen to deal the 20-year-old and Dembélé is happy to stay , Chelsea's willingness to pay the asking price could lead to a few interesting decisions to be made in the next 16 hours. Dembélé's asking price is rumored to be in the region of £40m, which is no small amount … though given today's prices, it's not nearly that outrageous. Chelsea spent £33m on Batshuayi just six months ago, after all, and that hasn't prevented him from being relegated to the role of the understudy who still has much to learn. The Batshuayi (loan) exit rumors had died down in recent weeks with his back-to-back starts in the FA Cup, but the Dembélé rumors have resurrected those as well. West Ham were about to acquire Brentford's Scott Hogan, but that deal fell through apparently, so they're back to looking for reinforcements in the attacking department. They've been interested in Batshuayi for almost as long as Chelsea and would presumably give him more minutes than he's likely to get at Chelsea. That said, all this sounds rather unlikely and complicated and sensational, but that's par for the course on Transfer Deadline Day, isn't it?